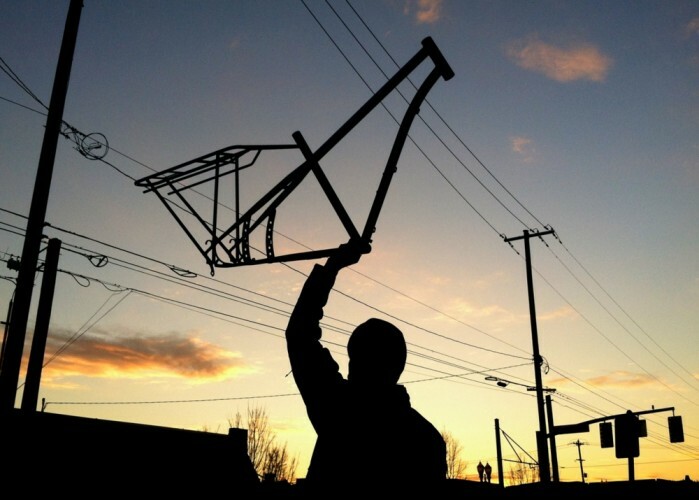 Sundown, a cold December day, Portland, Oregon – is that the new Kinn Cascade Flyer frame? Why, yes it is. A pretty little thing she is too. We picked it up from Zen Bicycle Fab this afternoon and now back at our workshop, and standing just 8 feet behind me Max is building it up.